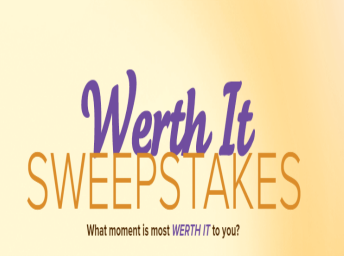 Werther’s Werth It Cocoa Creme Sweepstakes – Win a trip to Florida & more! Win a trip to Florida & more! ENTER SWEEPSTAKES HERE – Werther’s Sweepstakes page. ENTRY LIMIT – Limit of one (1) entry per person per Weekly Entry Period. ELIGIBILITY – Open to legal residents of the United States and the District of Columbia, excluding residents of Rhode Island, Alaska and Hawaii. Must be 21 years of age or older to enter. SWEEPSTAKES ENTRY PERIOD – Sweepstakes begins on March 27, 2017 at 12:00:01 p.m. Eastern Time (“ET”) and ends on May 8, 2017 at 11:59:59 a.m. ET. PRIZES – ONE (1) GRAND PRIZE: a Luxury Weekend Getaway for winner and one (1) guest. Grand Prize includes round-trip coach class airfare for winner and guest from a major commercial airport near winner’s home within the U.S. to Naples, Florida; one (1) double occupancy standard hotel at a five-star hotel in Naples, FL for three (3) days/two (2) night stay; a voucher that can be redeemed for a spa treatment for two (2) at the hotel spa; a $500 prepaid gift card which may be used towards dinner and ground transportation and as spending money; and four (4) bags of Werther’s Original Cocoa Crème. ARV: $2,800.00.